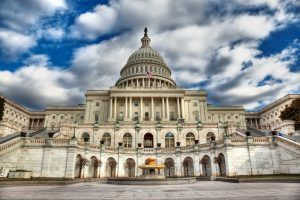 Senators Mike Lee, Ted Cruz, and Benjamin Sasse recently proposed a bill to enact the Restoring Board Immunity Act of 2017, which would give state licensing boards antitrust immunity that they may not otherwise be entitled to under the state-action immunity doctrine. The bill provides this immunity if the states fulfill some conditions: they must make efforts to reform their occupational licensing schemes and either provide active supervision of boards by creating an office to oversee them or provide for a specific form of judicial review of licensing board actions. While the bill seeks to make some promising advancements to curtail overbearing state occupational regulation, it misses the mark in several ways. As a Bona Law attorney, I regularly help clients suffering the wrath of professional licensing boards. It is very rewarding work, but it is also difficult work because the entire system—from state executive branches to federal courts—overwhelmingly defers to these licensing boards. The boards are confident in their ability to do whatever they want because they’ve enjoyed extreme deference in constitutional cases since the progressive era. Our most effective tool is the threat of antitrust litigation—a tool that has only recently been used. First I’ll explain how all of this works so that you can better understand why this bill is a bad idea. Most licensing boards are created by some enabling statute that was pushed through the state legislature after a bunch of competitors in the same industry got together and formed a powerful lobby. Nine times out of ten, a professional licensing board justifies its existence and its conduct with vague and unsupported claims that public welfare is at stake. The enabling legislation often provides the governor the authority to appoint members of the profession, and perhaps one or two “public” members (persons who are not part of the profession), to serve on the licensing board. Licensing Requirements. . Organizations like the Institute for Justice have analyzed state-by-state data and published significant literature about occupational overregulation. The bill appears most focused on licensing requirements. Antitrust litigation typically does not focus on the licensing requirements category of restraints because they are easy to pretextually justify, because the lobbying effort is protected by the Noerr-Pennington doctrine, and because they primarily affect new entrants (who are unlikely to organize a collective resistance, let alone the resources to finance antitrust litigation). This raises an important question: if most antitrust litigation against boards does not relate to the occupational licensing reforms sought by the bill, why are we considering a broad antitrust exemption as the carrot for states to implement the reforms? Expanding the Scope of Practice. Where boards prevent competitors who are not licensees within their jurisdiction from competing with them. A seminal example is what occurred in North Carolina Board of Dental Examiners v. FTC: the North Carolina dental board sent cease-and-desist letters to nondentist teeth whiteners asserting that teeth whitening was the practice of dentistry. Teeth whitening is not mentioned in the North Carolina statutes governing dentistry, but the board asserted it anyway because the dental board members and their professional trade group friends were losing profits to disruptive nondentist competitors who offered lower prices to consumers. Similarly, the California Veterinary Medicine Board recently sent cease-and-desist letters to animal chiropractors, claiming that performing chiropractic adjustments on animals is the practice of veterinary medicine (even though performing human chiropractic adjustments is not the practice of human medicine). Setting the Rules of Competition. Where boards prevent competitors who are licensees within their jurisdiction from competing in ways they don’t like. For example, some state funeral director boards have imposed or considered imposing substantial infrastructural requirements on their licensees (such as having an embalming room) with the ultimate goal of restricting the geographic scope of competition. Side note: state funeral director boards have been among the worst culprits of blatant anticompetitive activity, even going so far as enacting rules to prevent monks who handcraft caskets from competing in the lucrative market for casket sales. As you can see, boards have substantial power and states don’t seem to care that they regularly abuse it. So at first glance, a bill that incentivizes states to reassess their occupational licensing schemes with a critical eye is probably a good thing, right? If that were what it did, and it didn’t attempt to foreclose otherwise legitimate antitrust claims through the state action doctrine, then it wouldn’t be so objectionable. The actions of the board/member are authorized by a nonfrivolous interpretation of the occupational licensing laws of the state. Enacts legislation providing for judicial review of occupational licensing laws. The bill has a savings clause that states the immunity only applies to “personal qualifications required to engage in or practice a lawful occupation.” As you will see below, this clause could be very important, depending on how courts would construe it. If this bill were really about protecting interstate commerce from the mess of restraints that state legislative corruption and interest-group politics created in the first place, you’d think the title of the bill would reflect it. Such a bill might be called the “Occupational Licensing Reform Act of 2017.” Instead, the bill is titled with a false premise: that the bill will “restore” immunity that boards once had (most of them probably didn’t). At bottom, the bill gives away widespread eligibility for a disfavored and limited antitrust exemption. We should be asking whether it’s necessary to do that rather than distracting ourselves with the (potentially) nice bonus prizes that come with it (e.g., occupational licensing reform). In its current form, the occupational licensing reform provision of the bill requires each state desiring the immunity to merely convene a panel that will analyze existing regulations and propose revisions to existing law that state lawmakers are then free to completely disregard. That is, the implementation of occupational licensing reform ultimately rests with the same lawmakers that bowed to powerful trade association lobbies and created these unnecessary licensing requirements in the first place. And they get the immunity regardless of whether they follow through. The supervisor must review the substance of the anticompetitive decision, not merely the procedures followed to produce it, see Patrick, 486 U.S., at 102–103, 108 S.Ct. 1658; the supervisor must have the power to veto or modify particular decisions to ensure they accord with state policy, see ibid. ; and the “mere potential for state supervision is not an adequate substitute for a decision by the State,” Ticor, supra, at 638, 112 S.Ct. 2169. Further, *1117 the state supervisor may not itself be an active market participant. In general, however, the adequacy of supervision otherwise will depend on all the circumstances of a case. North Carolina State Bd. of Dental Examiners v. F.T.C., 135 S. Ct. 1101, 1116–17 (2015). The bill, on the other hand, grants the immunity wherever “the State enacts legislation providing for active supervision of the actions of an occupational licensing board and any member, officer, or employee of such a board, in accordance with subsection (c) of this section.” The bill precludes the individualized inquiry by the federal judiciary that the Supreme Court has deemed so important to determining active supervision. Instead, courts will simply look at whether the state has put the bill’s blanket supervisory process in place. The bill does not allow the courts to look at whether the supervisor actually did its job under the circumstances, or whether the supervisor reviewed the substance of the decision. Instead, a state that receives immunity from one court will effectively be immune from all future challenges because it has put the process in place. The other requirement of the state action immunity—that the defendant was acting in accordance with a clearly articulated state policy to displace competition—is completely left out of the bill. Instead, to get immunity, the bill only requires the active supervision component and a “nonfrivolous interpretation of the occupational licensing laws.” This is a far cry from clear articulation, which requires that the restraint be the “inherent, logical, or ordinary result of the exercise of authority delegated by the state legislature.” FTC v. Phoebe Putney Health Sys., Inc., 133 S. Ct. 1003, 1012 (2013). Even the North Carolina dental board’s interpretation of North Carolina dental law would likely pass muster under this standard. Under current law, a judge will use her own judgment to determine whether the law actually compels the restraint at hand. Under the proposed bill, the judge must defer to the board’s interpretation and, so long as it is “nonfrivolous,” accept the board’s judgment instead of its own. This is a new level of deference that not even federal administrative agencies enjoy under Chevron U.S.A., Inc. v. Natural Resources Defense Council, Inc. (which asks (1) whether Congress’ intent was clear, and if not, (2) whether the agency’s construction is reasonable). At first glance, it appears that the savings clause should apply only to the licensing requirements category of restraints. For example, a cosmetology licensing board might imposes new educational requirements on African hair braiders (because the hair braiders compete with cosmetologists in a market segment). A bill proposing to eliminate one of the most effective tools for preserving competition from politically entrenched competitors ought to be very clear about when it gives immunity and when it does not. The antitrust laws are unique: Congress deemed them so important that it vested the federal courts with exclusive jurisdiction to hear federal antitrust claims. Unlike a constitutional claim, for example, you cannot bring a federal antitrust claim or defense in state court or other tribunal (such as a board). This is because Congress simply did not trust the states to preserve competition in interstate commerce—arguably Congress’ most important power and duty. And it’s been that way for over a century. But the bill removes these important questions about whether an anticompetitive restraint truly is the result of sovereign state authority from the federal judiciary and instead places that analysis in the hands of state administrative offices—leaving the federal judiciary to ask simply whether the state oversight agency followed the procedures set forth by the state legislature, subject only to a couple paragraphs of set requirements from Congress. There has long been a debate about parity among state and federal courts, usually in the constitutional context. But the bill goes several steps further than allowing state courts to hear a certain type of claim: it leaves the sole authority to determine whether a restraint on interstate commerce should be permissible to a bureaucrat in a state administrative agency, leaving a federal judge with only one inquiry: whether that bureaucrat exists. Congress could, of course, reverse course on its exclusively federal enforcement policy. But it should not do so on a piecemeal basis to advance a tangential goal like licensing reform, and it should not do so without thoroughly considering the wisdom of a century-old policy that has been the subject of little controversy. The bill allows states to enact specific judicial review requirements for board actions as an alternative to the active supervision requirements. The provisions do not require the state courts to consider whether the action accords with a state policy to displace competition. Instead, it only requires the court to consider whether the board “identifies an important government interest” and whether “the occupational licensing law is substantially related to the achievement” of that interest. In other words, it codifies the intermediate scrutiny test used in constitutional law. This test does not ask the questions necessary to determine whether the action accords with state policy to displace competition, which is the heart of the state-action doctrine inquiry: we only allow immunity where there is a concern that the state seeks to displace competition as part of its general police power. Indeed, the sole reason for the immunity is to avoid constitutional problems, so it only applies to actions that we can confidently call actions of the state, as sovereign, rather than the abuse of state authority by private market participants. More concerning, however, is that it requires nothing of state courts that have already demonstrated extreme deference to professional licensing boards. Indeed, we made this point in an amicus brief to the Supreme Court in N.C. Dental: states typically adbidicate their judicial review responsibilities, deferring to licensing boards by citing their specialized expertise as a group of peers. The proposed Restoring Board Immunity Act of 2017 would grant states an antitrust immunity as a carrot in exchange for empty promises about licensing reform. It would take the most effective tool that aggrieved competitors have to combat anticompetitive licensing board activity—a monster the states are to blame for creating in the first place. The bill rids licensing boards of scrutiny by the federal judiciary and replaces the state-action immunity test with state bureaucratic decisionmaking. If Congress is serious about protecting interstate commerce from these state-sanctioned cartels, it should make it harder for licensing boards to escape antitrust immunity and let the federal courts do the job they were entrusted with in the first place.